This morning I had my first session in the gym for a long time! I booked myself in for 9am before work, and had a training session with James. 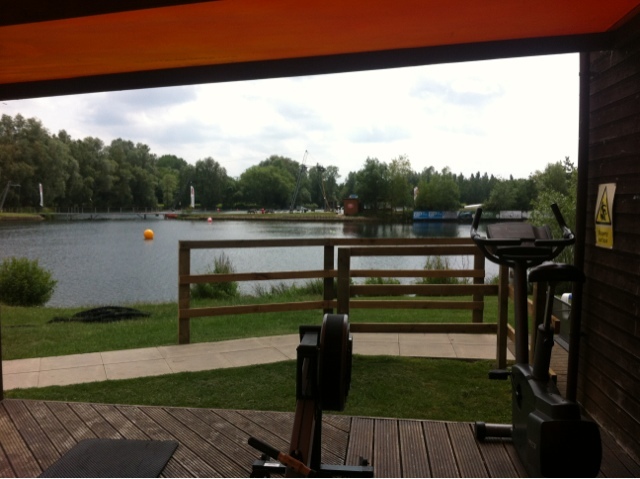 We're really lucky here at Liquid Leisure as the gym is on site, Lakeside Health & Fitness. 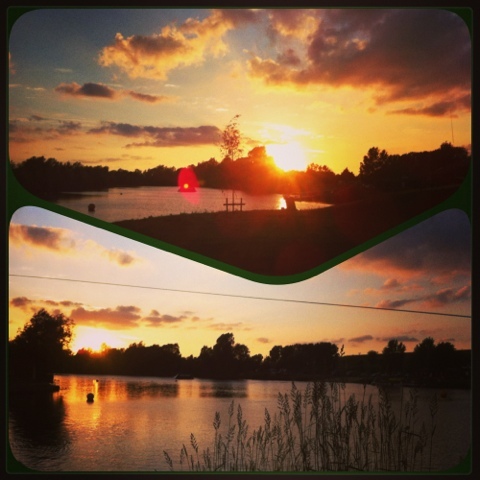 I did a run around the lake and then we worked on leg strength as my main priority, some core and some upper body. Getting back into wakeboarding recently has been a workout in itself, getting my arms strong enough to do more than 5 laps on the cable! So I'm going to try and get into the gym once or twice a week in between wakeboarding and riding up at Hemel to keep strong for the next winter season in Austria! Wakeboarding has been going really well, as I say i'm getting stronger so i can ride for longer which is nice :) I've learnt lots of new tricks, and tried some of the rail tricks up at the snow dome last week which went pretty well! The movements are very similar so it's nice to try things out on a wakeboard that I wouldn't be as comfortable trying first time and falling onto hard snow! The water is nice to cushion your landing! I'm actually finding it a lot easier to spin cab on the wakeboard, so have my switch 360s dialled...but seem to have lots my regular ones...oops. I'm going to try and make a short edit over the next few weeks :) Here's a nice shot of this evenings sunset!